I released the 2nd edition of my book Paying Workers in a Homeschool Organization in November 2016, 11 months ago. Now, less than a year later, it needs an update. Several events occurred that required me to research the issue of worker classification for homeschool organizations. As a result of my research, I have made several changes to the book. The update is significant enough that I’m calling it the 3rd edition! The paperback book will be unavailable for a short time while it is getting updated. I expect the paperback and Kindle versions to be ready by October 15, 2017. Update (October 13, 2017): The paperback version has been updated. The Kindle update should be completed before November 1, 2017. The ebook version (in pdf) is available now. Wonder what changed? Or maybe you bought an earlier version of the book and you want to know what’s different. I created a document explaining what was added or eliminated from the book between the 2nd and 3rd editions. I clarified when a teacher should be paid as an employee and added some additional Sample Agreements including an employment agreement. Summary of Changes to Paying Workers 3rd edition (click to open the file). You may have heard about the IRS crackdown on misclassifying workers and the penalties that your business or homeschool program could face if your business is audited by the Internal Revenue Service (IRS). For a true but sad story about the Landry Academy read this. 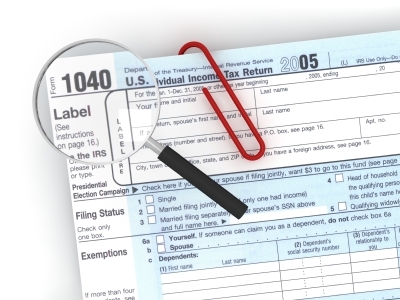 What can you do to avoid the IRS penalties? The IRs has a program called the Voluntary Classification Settlement program (VCSP) . Eva Rosenberg, the Tax Mama, explains the IRS Voluntary Classification Settlement Program in plain, clear English. Just the way your mama would talk to you. The VCSP (aka the IRS amnesty program) allows employers to avoid the penalties for paying your workers as Independent Contractors when they should have been paid as employees. For those employers who do apply for the VCSP, the savings can be substantial. For example, take a calculation based on unreported payroll of $625,000 in the prior year. Under the amnesty, the full payment to the IRS would be under $6,600. Without the amnesty, with the IRS looking back for only three years, it would cost the employer over $292,000 (for six years, over $620,000). I can help you determine if the IRS amnesty program is a good option for your homeschool business or nonprofit organization. Contact me and we can talk about your options. Yesterday I presented a webinar “Business Failure in the Homeschool Market“ that many of you (about 90!) attended. Here’s the link to download the recording of the webinar. The webinar lasted 2 hours because of all the questions asked, so it may take a few minutes to download. Here’s a handout of the information I discussed. I referenced my book Paying Workers in a Homeschool Organization which may be helpful to many of you. I also mentioned that I offer a Worker Classification determination service if you need help determining if your workers are independent contractors or employees. I’m happy to help and relieve any anxiety you have about this confusing topic.